Pokemon trained the Arkadions to fight against the untamed Arkadions. Hunter Island uses the Arkadions in a more subtle and intricate way. They just don’t fight but also find out solutions for individual problems and utilize their strength in measured lengths. 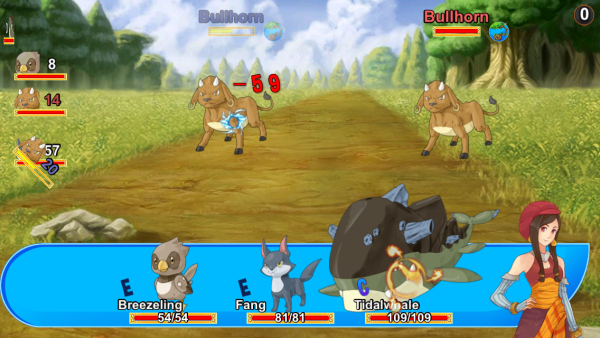 Hunter Island has set an example of how an ideal Pokemon game should be played on iOS. In Hunter Island you would be playing a role of a specialized trainer to prepare the Hunters to defeat the monsters of different varieties and are known as Arkadions. The place is infested with these Arkadions and it is only through intelligent fights that each problem posed here by these monsters can be addressed. Finally Hunter Island turns towards warfare evolved from a family discord. You have to keep fighting till the end and Hunter Island won’t let you rest until you come out successful. Before the fights, you are given the task of training the battalion of Arkedions against equally powerful Arkedions from the other side. The rule is you cannot take all the fighters together for striking the battle. Only a definite number of Arkadions can be selected for each battle. 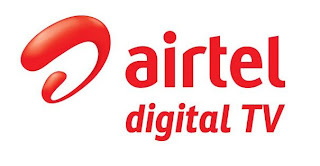 The struggle will continue, as one Arkadion is replaced by another once the former is defeated. Therefore your number of fighters will be reducing. The fight goes on either at one-to-one or many at a time. Depending upon how effective an attack is, your Arkedion has to be patient to get his turn. The five elements of nature are also at work in Hunter Island. The Arkadions are categorized by their elementary strengths. And one category is a threat to another as per the law of nature. The water Arkedions are a threat for the fire monsters but are weak against the air. The earth monsters will overpower the air monsters and the cycle goes on. 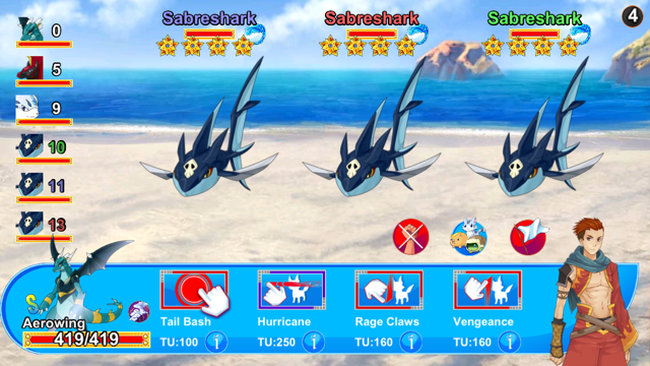 What makes Hunter Island unique is that apart from the fighting actions, there are plenty of other activities which will keep you engaged and boost up your gaming spirit. You can explore the picturesque places in the island and take up quests of your choice. You can go wild and loot, struggle in the arenas to achieve rewards. If you need people around you, invite friends online to gear up the combat. 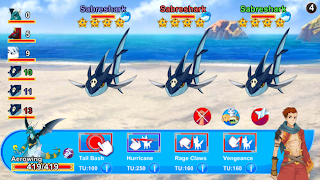 The delight that Hunter Island provides for players is a good reward for dollars, buying apps doesn't take much of your efforts in terms of monetary expenditure. Rather the silver currency used in Hunter Island can be easily earned through winning over battles and quests. Moreover, it is all based on the ratio of the strength and capacity of a monster that will decide the amount you need to spend to knock it down. All the monsters can be caught at a time with the help of in- game gold, which is of course the most costly affair. But you get the benefit of quickening the process of crossing the levels irrespective of however strong the monsters are. Purchasing gold will also allow you to buy Arkadion eggs and recipes, combining which you can generate Arkadions with more powers and capacities. What more? You can grab these eggs and recipes by the quests as well. Playing Hunter Island is an exquisite RPG battle-game experience without costing you an eerie amount. Strong and decent visuals with mind-catching activities. Original fighting techniques. Battles fail to match quite frequently, a turn off for the newbies.